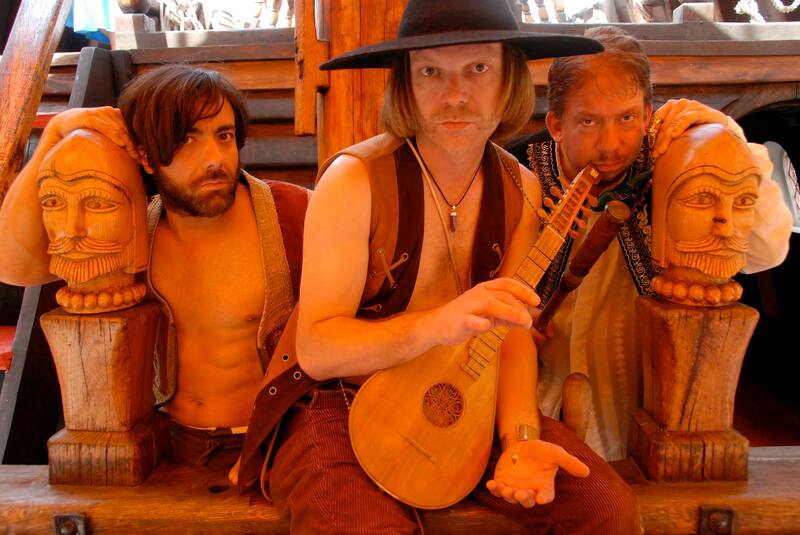 Fans of Tudor-folk will want to hop on down to Camley Street Natural Park in North London next month, to celebrate the forthcoming release of the long-awaited debut album from Princes In The Tower. The traditional trio, featuring Antony Elvin, Will Summers and Michael Tyack (former collaborators via Tyack’s band Circulus), have been performing across the capital and beyond over the last few years, and their album, A Golden Hour With Princes In The Tower was recorded throughout 2012 and 2013. Late last year, TVO exclusively premièred a track from the record, on our limited edition In Holoserica Cepa EP. Now the album is about to get its proper release, details of which we will bring you as soon as they’re completely confirmed, and to celebrate, the band will be heading up three hours of musical celebration at the nature reserve not too far from King’s Cross St Pancras, on Sunday 8th December. The event promises to be a sterling lunchtime with, in Elvin’s words, “some other very marginal and interesting bands”, and will run from noon until 3pm. For more details, keep an eye on the Princes In The Tower Facebook page. You can still hear a preview of the track Stingo – second track featured – via our EP sampler, saved for posterity below.